At Pizz’a Chicago , we specialize in all kinds of pizza, including gluten-free, margarita, and Chicago pizza in San Jose. However, our menu does not end with our deep-dish pizza; we also offer soups, salads, desserts, and delicious pasta dishes. Here is a brief overview of some of the pasta dishes by Pizz’a Chicago that you will want to dig into tonight. 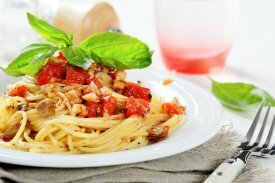 If you are planning on having pizza for dinner with as many toppings as you can handle and you are looking for a traditional pasta dish to complement it, consider the classic spaghetti dish. Pizz’a Chicago serves a spaghetti dishwith or without meatballs, so both meat lovers and vegetarians alike can enjoy it. If meatballs are simply not enough meat for your taste, consider the meat lasagna meal. This pasta dish contains both ground beef and sausage for a double serving of scrumptious meat. 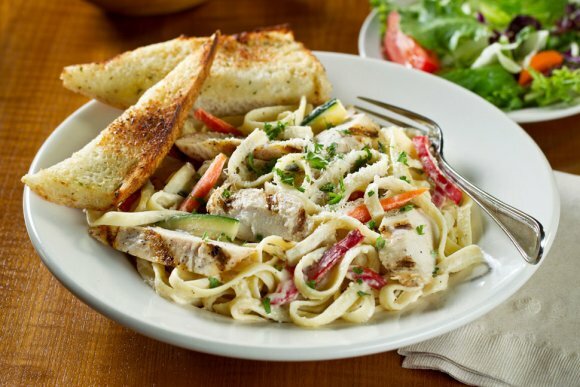 You may have more of a taste for Alfredo sauce than you do for tomato or pasta sauce, and if that is the case then you will love our fettuccine chicken Alfredo. This dish comes garnished with red bell peppers, carrots, and zucchini. If none of these options make your mouth water, consider our beef or cheese ravioli.